Moscow is one of the most stimulating urban centers in the world! If you have never visited Moscow, you will be surprised by what you will discover. Moscow has changed more radically in the last decade than over the previous half century. and the Metro's lavish marble halls. Your panoramic privately-guided City tour (flexible touring format) of Moscow includes the views of all major must-see landmarks: the glorious Red Square with its colorful onion-domed St. Basil’s Cathedral, the iconic view of the Kremlin from the embankment; classy Bolshoi Theater after its major renovation, the Moscow State University, city’s breathtaking view from the top of the Sparrow Hills. You will also visit the other landmark of Moscow – the Cathedral of Christ the Savior, - a remarkable site and quite a noticeable feature of Moscow’s skyline today. The history of this Cathedral is as striking as its huge façade. Today you will also be offered a Special visit inside the impressive New Maidens' Convent with the Elite Cemetery nearby. 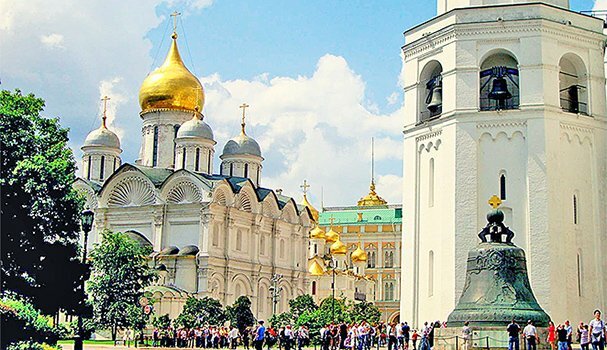 Today tour the very heart of the city and of the whole of Russia – the Kremlin, with its historic churches, the Belfry, Czar’s Cannon and Czar’s Bell. You will go inside the Assumption Cathedral, the principal church of Russia, which vaults witnessed all major events that shaped this country. You will also have a tour of the stunning Armory Museum, the richest museum of the Kremlin. 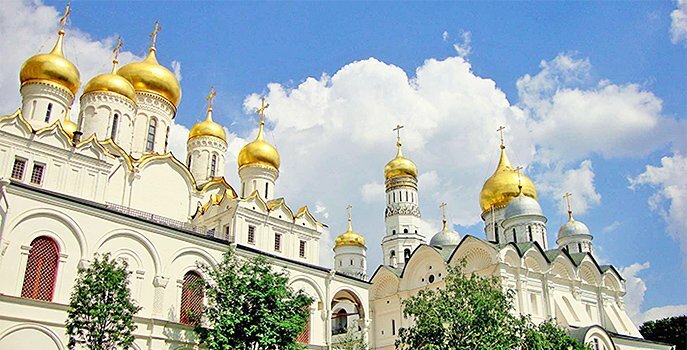 Today step away from city's bustle and travel some 70 km outside of Moscow to the Golden Ring town of Sergiev Posad, the Spiritual centre of Russian Orthodoxy, the major pilgrimage site of Russia, with its medieval St. Sergius Trinity Monastery.